Item No. 2960 in the 1972 Tonka Look Book. The book doesn’t provide a description, just an image. I also have the same model from 1975. 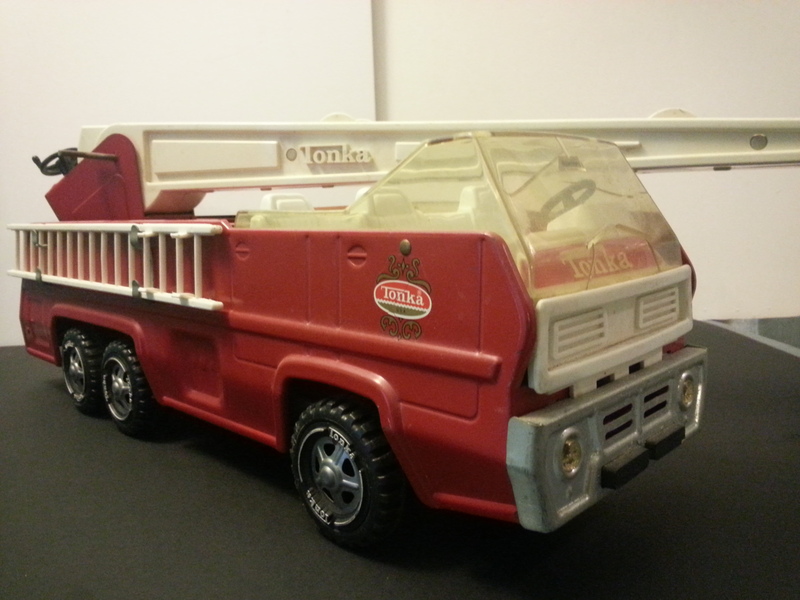 1975 Tonka Fire truck — missing decals and ladders from side of truck. Description: These are large, mostly metal vehicles. The ladders are plastic, but some of the gears used to extend the ladders are not. Overall size is at least 18 inches in length. 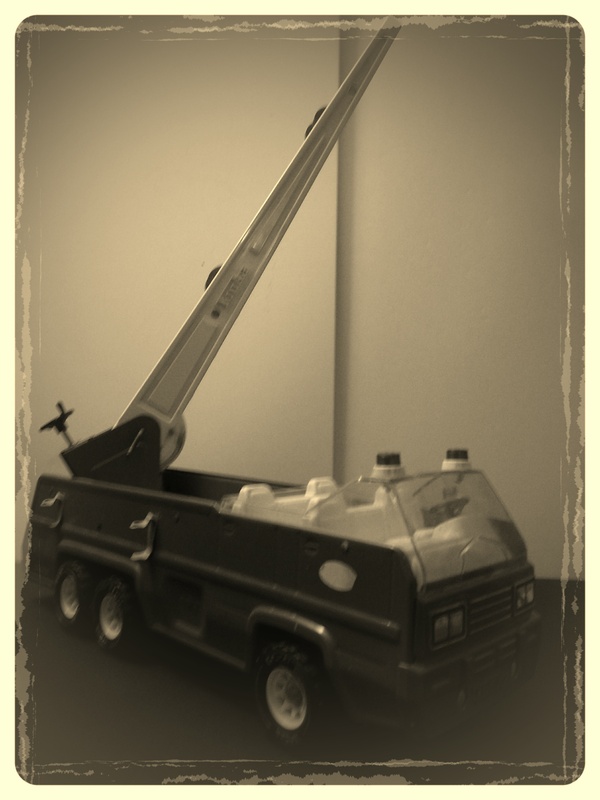 Notes: Although, the extendable ladders on both of my fire trucks work well, each truck has its own unique flaws. The 1972 version is actually in the best shape of the two — its decals look fine, it has the side ladders — it’s only problem is it’s missing the siren lights on top of the cab. The 1975 version is missing its side ladders and decals. Value: Mid-70 versions of the truck, NIB tend to list for $50-$100.